Samsung Galaxy J3 Luna Pro Price, Review, Deals, Cost, & Sales! 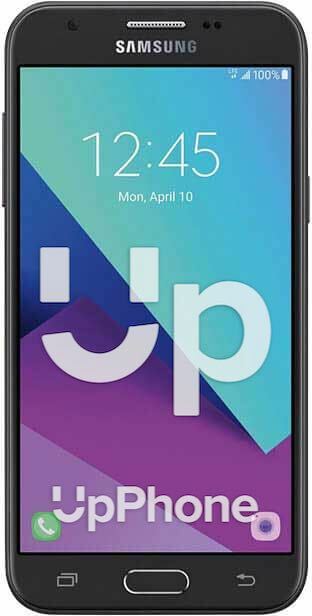 Home / Compare Cell Phones / Samsung Galaxy J3 Luna Pro Price, Review, Deals, Cost, & Sales! The Samsung Galaxy J3 Luna Pro is a budget phone designed with a 5" screen, 5 MP camera and a 2600 mAh battery. The Galaxy J3 Luna Pro comes with a 5" TFT LCD with 1280 x 720 resolution and protected by Corning Gorilla Glass. In comparison, the Samsung Galaxy J3 Prime has the same display screen specification. This device has a 5 MP rear camera that is able to record 720p videos. It also has a 2 MP front camera. Camera features includes face detection, smile detection, HDR and Face Beauty. For the onboard storage, it comes with a 16 GB space and supports up to 256 GB expansion via microSD. The Galaxy J3 Prime has the same storage capacities. It has a side firing-speaker located on the right side of the phone. It gets pretty loud and positioned way better than those located at the rear. The J3 Luna Pro runs on Qualcomm Snapdragon 425 MSM8917 CPU with four cores and clocked at 1.4GHz. Performance is good but will slow down with heavy app usage. The Galaxy J3 Prime has the Exynos 7570 with four cores clocked at 1.5GHz. Powering the device is a 2600 mAh battery. Talk times can last for up to 23 hours, 495 hours of standby time and 20 hours of music play. It has no wireless charging nor fast charge. This device comes in color black only. The Galaxy J3 Luna Pro has one SIM Card slot. It has a split screen feature for multi-tasking. This phones has a side-firing speaker. The J3 Luna is equipped with an FM Radio.